Bespoke shed with fake front, entrance to side via double doors. pergola with plastic decking in different colours. Free estimates. Closeboard fencing with trellis on back on concrete posts and concrete gravelboards. 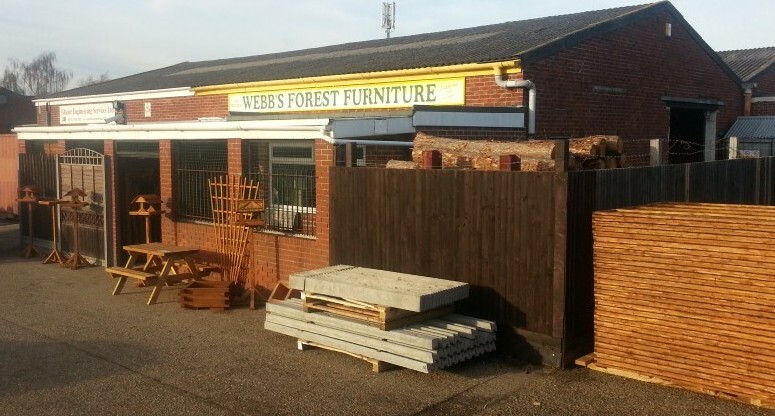 Webbs Forest Furniture is a reliable family run business, based in Gosport, established in 1988. 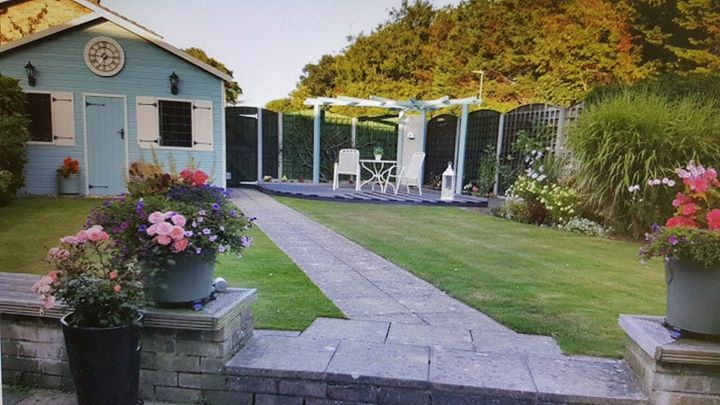 We are manufacturers and installers of all types of quality fencing, garden sheds, trellis work, gates and arches. Larch and Douglas are our preferred species and the best for fencing materials. We also supply an extensive range of rustic garden furniture, bird houses and so much more, made to the highest specification. All our timber is sourced from sustainable plantations in the South of England. This together with the ability to cut the timber in our own sawmill gives us the flexibility and quality control that our customers have come to expect.